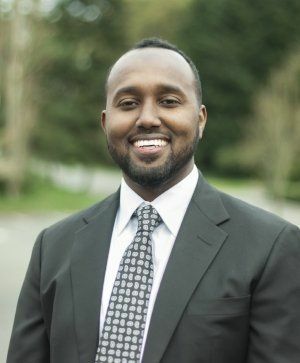 Zak Idan, 29, who came to the U.S. from Somalia as a refugee when he was 11, has been elected to the Tukwila City Council. Our state’s first Somali-refugee elected official, Zak Idan of Tukwila, says he was emboldened to run for office by the president’s travel ban. When President Donald Trump signed his first Muslim-oriented travel ban in January, Zak Idan, who lives in the refugee-strong city of Tukwila, took it as a direct hit. Idan, 29, came here from Somalia as a refugee when he was 11. He is now a U.S. citizen and a project manager in King County’s Wastewater Treatment Division, so the travel ban doesn’t apply to him directly. What he means by saying “Trump’s banning me” is that it’s precisely his category of immigrant, along with refugees from five other mostly Muslim countries, that are barred from entering the United States. So what did Idan do about it? He went out and got himself elected. Sure, it’s only to the Tukwila City Council, a part-time gig in a town of 20,000. But Idan’s election this month is historic. It makes him the only Somali-refugee officeholder in Washington state, he says. And he’s believed to be one of just five Somali-American officeholders in the United States (the other four are all in and around Minneapolis). He’s also one of the few Muslims to win office in recent years around here. Local Muslims have been rallying to get more politically active but have not had many breakthroughs. Until, counterintuitively, Trump came along. Idan won 55 percent in his first try for office. He becomes the only foreign-born member of the council in a city that is about 40 percent foreign born. Tukwila is the most racially diverse place in the state. At Foster High School, students speak an incredible 45 languages. The main grocery store on Highway 99 (Tukwila International Boulevard), Saars Super Saver, is like an international bazaar, selling cactus leaves, halal meats, hominy, fresh injera bread and dozens of types of dates. Idan landed there in the mid-1990s, when Tukwila was considerably whiter. He and his family had fled Somalia’s civil war and spent years in a Kenyan refugee camp. Tukwila embraced his family fully, he says, with neighbors driving him to school events. But at the same time, the booming immigrant population could feel a little cut off from official Tukwila. It was like a city in a city. Unlike in nearby Burien, which went to war this year over immigration issues, Tukwila stayed focused on sidewalks, housing and other local issues. A few times when he was out door-knocking, someone said something negative about his Muslim faith. But it wasn’t much part of the election. His candidacy may have inspired some of the typically low-voting immigrant population to turn out. But the campaign wasn’t racially or religiously divisive, and, unlike in Burien, it didn’t attract fear-stoking outside groups. So he probably also won the white vote and the African-American vote and all the rest, he says. These days, it counts as news when democracy works the way it’s supposed to. It took six more years. And the provocations of a president. Maybe America really is being made great again.